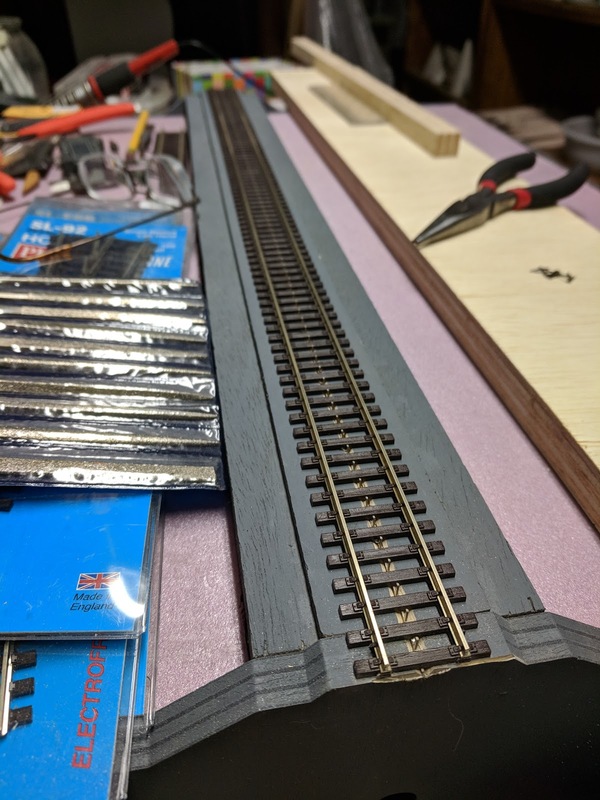 I dusted off the frame for module 1 I built in October, and cut some Peco SL100 flex track. The idea here is to build a module that attempts to hide the Maerklin-typical center studs as much as possible, and get an idea about the amount of work it takes to do it, while staying compatible with regular Maerklin K-track. 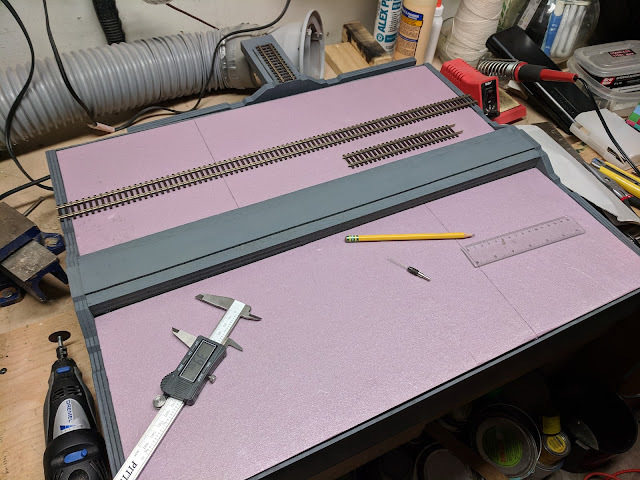 Attaching the center studs takes time, but goes faster than I expected. The strip sticks out below the track by about 0.7mm and that needs to be taken into account when mounting the track. 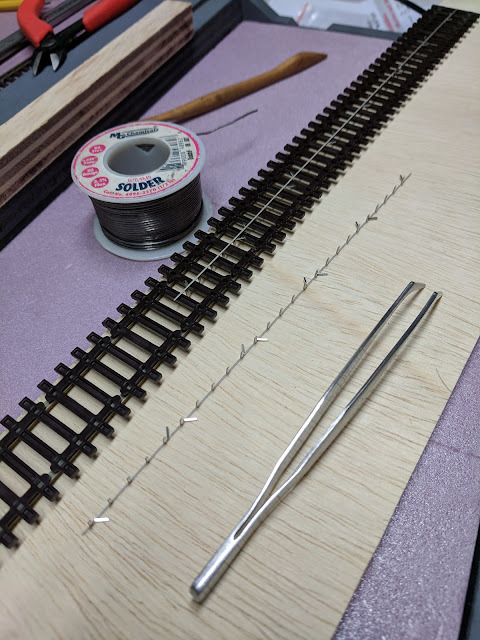 I cut a V-groove into the trackbed, which worked quite well.